Over the last 7 days, the Greater New York Red Cross provided emergency assistance to 119 adults and 50 children following 60 local disasters. Here are some highlights from last week and a preview of upcoming events (see below). 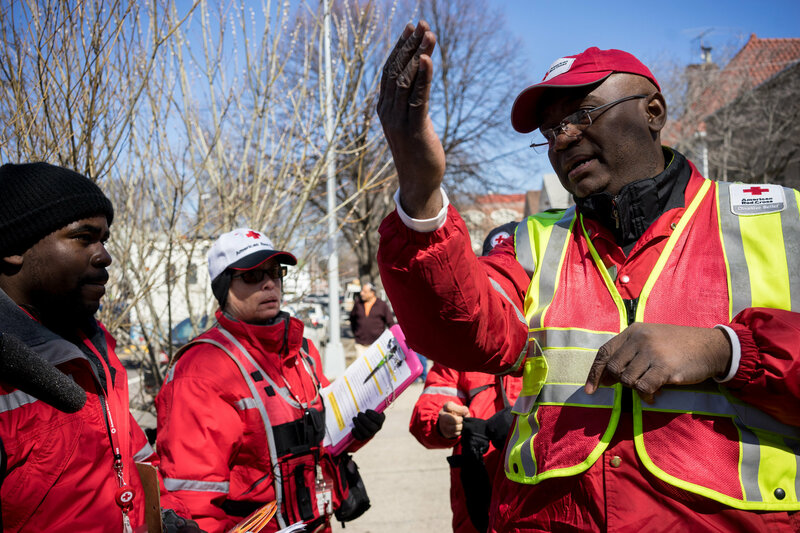 On Sunday, after the tragic fire in Brooklyn, the Red Cross in collaboration with FDNY canvassed the Midwood neighborhood of Brooklyn to inspect and install free smoke alarms and to educate the community on the importance of home fire safety. This past Saturday, we celebrated our New York City volunteers at our annual recognition event at Battery Gardens in Lower Manhattan. Congrats to all our awardees and thank you to all who give of themselves in support of our mission. Two guests of honor were Chassity and Edyberto, who recently lost their apartment in Queens to fire, but came to the event to thank Red Cross volunteers. On Thursday, our superstar CPR/AED instructor, Lipica Shah, made an appearance on Dr. Oz to discuss and demonstrate the importance of AED training. Wednesday night, a massive 4-alarm fire that damaged a row of eight homes in Woodhaven (Queens) sent residents fleeing from their homes. Thankfully, the Red Cross was able to assist those residents with financial assistance and emergency housing. Also on Wednesday, GNY Red Cross Communications Officer, Michael De Vulpillieres, was interviewed on BronxNet about Red Cross services and activities. On Monday, there was another 4-alarm fire that tore through a row of houses, but this time in the Staten Island town of Rossville. Emergency housing, financial assistance and emotional support was provided to those left out in the cold by the devastating blaze. Earlier that Monday, Red Cross volunteers Nancy and Rick Stein taught emergency preparedness and fire safety to the Westchester County Alumni of Delta Sigma Theta Sorority. Mar. 25: Red Cross blood drive; 1 to 7pm; 520 West 49th Street, Manhattan. Schedule an appointment to donate today. Mar. 25: Red Cross will host 60 members of Veteran’s Mental Health Coalition of NYC for an educational lecture on topics addressing veterans and employment. Mar. 26: Red Cross will be training employees of Swiss Re on how to volunteer and support Disaster Services. Swiss Re is a partner in our Ready When the Time Comes corporate community program. Mar. 28: Service to the Armed Forces volunteers will attend a Vietnam Veteran’s commemoration event and provide information on Red Cross services.